Hello, friends and guardians of our mutual canine friends! It's just over a year ago that Bowhaus Boulder first opened its doors, and it's been an good year! We've met and cared for an awesome group of new dogs and have been blessed to have many of our friends from Erie visit us here, too. Lots has changed recently, mostly for the better! There's tons of great news. The only sad note is that Paul, who opened our Boulder location in May 2013, a talented dog handler and stellar employee, has left Boulder to pursue a new life in the mountains with his love. We will always miss you, Paul, and are grateful for the immense contributions you made to our business. So let's get into the good news! 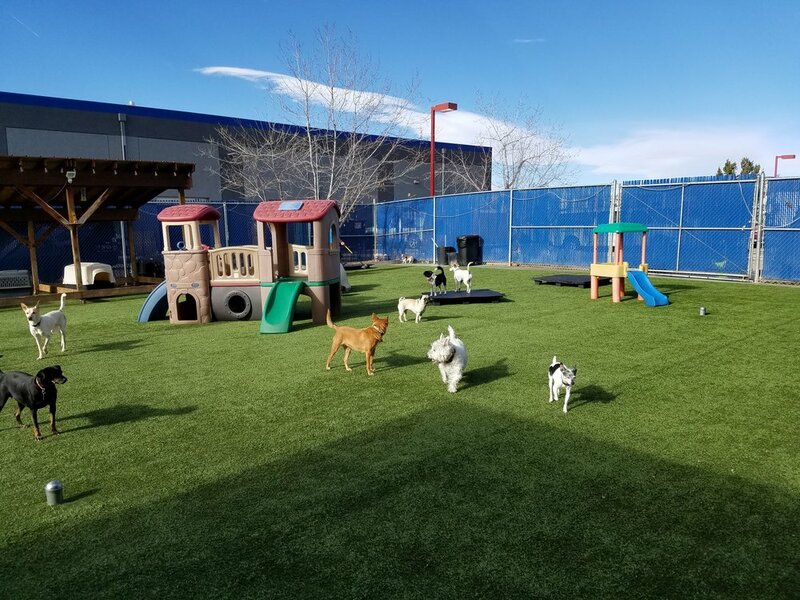 We've recently integrated Gingr into our business, an innovative and incredibly useful web-application designed specifically for dog daycare and animal boarding businesses. It helps us operate and track nearly every aspect of our business and has tons of features our customers love, too! Read the full story here: click here. Well here we are on the new site! Being that we'd made so many changes, it seemed it was also time for our site to be updated. (New site for Erie coming soon, too!) We also thought it would be helpful to put more information on our site, about our services, staff, facilities, etc. I, (Aaron) built this site on SquareSpace over the course of a few days and it's likely to see some little improvements keep rolling out for another few weeks. Please let us know if this site can be more helpful in any way! Thanks for reading - and more than anything, thanks for bringing your dog/s! We enjoy them!